Can’t get to the garden with all the snow on the ground. No worries, we’ve got that covered. 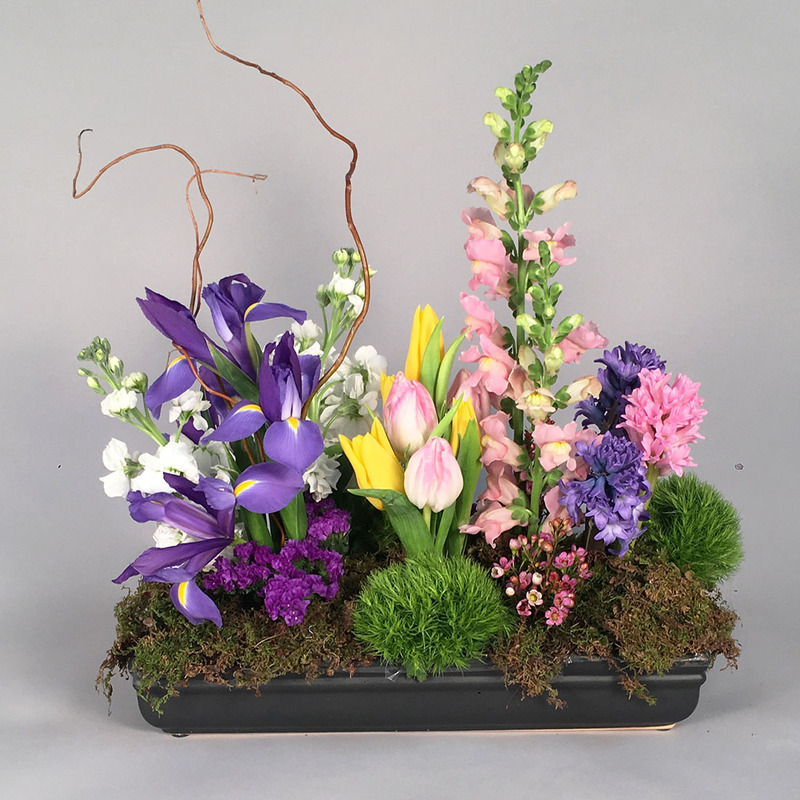 A black ceramic tray loaded with bulb flowers and additional colorful blooms to make up a delicious garden assortment. Just what the doctor ordered.